A while back I was contacted by a company called Cake-Cetera, to see if I would be interested in collaborating with them. 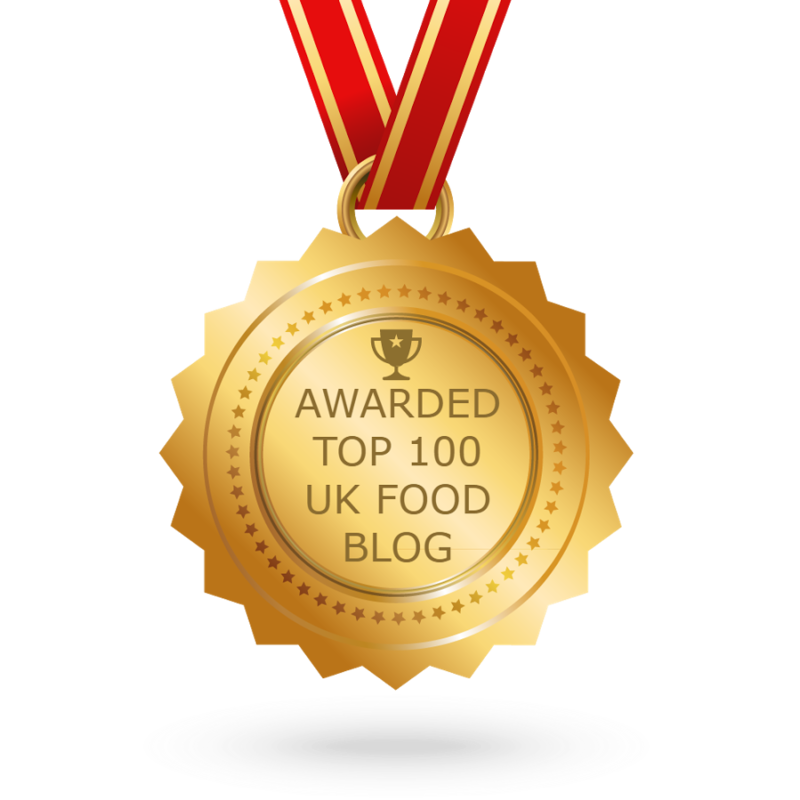 Currently I am a guest blogger on their website. But who are Cake-Cetera? Well, they are a cake delivery company based in Hamilton, Scotland who deliver beautiful, delicious and unique sweet treats around the UK. They offer items such as Cake Push Pops, Cupcake Bouquets, Giant Doughnut Cakes and French Macarons. They recently sent me a box of their 12 macarons to sample. They were cute and delicious in equal measure. Coming in a variety of flavours, pistachio, chocolate, raspberry, coffee and vanilla -these little beauties were dainty and delicate treats to enjoy with a nice cup of tea or coffee. 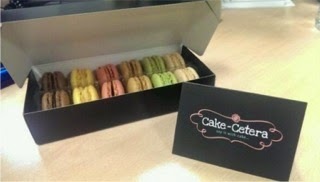 And Cake-Cetera are giving away a box of their 12 macarons, worth £12, to one lucky Cakeyboi reader. To be in with a chance of winning, enter via the Rafflecopter thingamajig below. The giveaway is open for two weeks closing midnight on 16 August. UK entry only I’m afraid. Good luck everyone! Disclosure Statement: I received the macarons free to review and any opinions expressed are my own. Sounds good and a bit posh food Heaven. I'd love to win them THIS much *stretches arms so wide they don't go back to normal* =) I really nejoyed my first tast of macaroons but I'm not keen on making them myself. i would love to win macaroons cause they taste amazing! I would love to win the French Macarons! I would love to win because they look DELICIOUS! Would love to win, these look delightful. They look delicious so yes I would 100 per cent love to win them. French macarons are a lovely sweet treat and ideal for me as I'm on a gluten free diet. 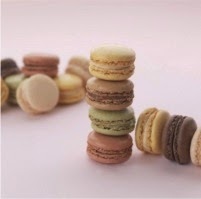 I would very much love to win those French Macarons - I have never tried one but I just now they are going to be yummy. I would love to win because I simply adore macaron. French people definitely know how to eat well! I would love to. It would be such a lovely prize to receive in the post. I love the taste of macarons per se. I do like the look of these French macarons. I bet they taste good. I would sooooo love to win the french macaroons they sounds super yum. I would realy like to win these as ive never had a Macaron before and i love trying new foods. Would love to win these, they sound so yummy! These look amazing! I would love to win them! I would love to win. Please pick me! They look lovely, who wouldn't want to win them?! Would love to win but which one would I try first? I would love to win them because they are soooo good! I would love to win this because when I was in London in January I tried them for the very first time and ended up in Laduree everyday! Addiction? My dad loves macarons so I'd love to win and share them wit him! i'd love to win as i'm a bit useless at making my own! I would like to win 'Beaucoup' . Thank you. I would love to win these because my mouth is watering just by looking at the picture! I have never tried them so maybe this is my chance ! I'd love to win these for my team at work, they're huge macaroon fans! Love them billions and would be tempted to scoff the lot in 1 sitting. Im sorry to say I havent had Macaroons yet! They look so yummy and I keep saying I will bake them, but guess I need to taste them first!! 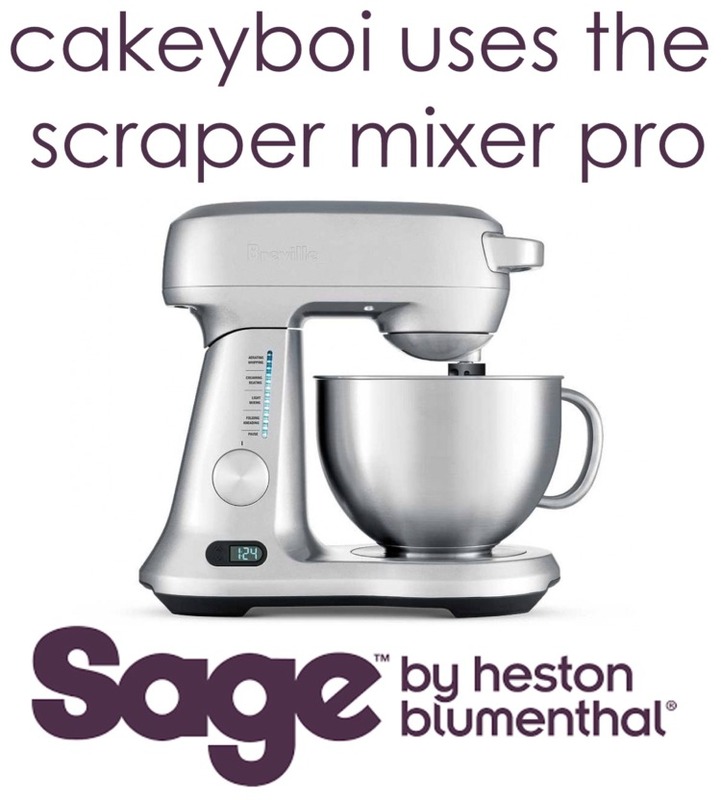 I would love to win as this as they would be a lovely treat for my mum and myself :-To share with family and friends. I love macaroons and would share them at my birthday celebrations. would love to win this SOOOO.. delicious! I'm on a diet, so I shouldn't eat any treats. But if I win these macarons that does not count, does it? Je voudrais beaucoup gagner ces macarons francais! Never had them before, but they look so yummy! I've never had macaroons but I'd like to win them as anything cake is good and they sound very nice from the description! On a scale of 1 to 10 it would be a 10! I would love to win them this < :) :) :) :) :) :) :) :) :) > much and more! I would love to win them loadssssssssssss! Pistachio macaron and a coffee. Bliss ! Yummy! I would love to win. These look so amazing, I am salivating just thinking about them! I'd love them v v much. I've never mastered making my own! I would really love to try them! I dont think I ever have tried one so I would love to see what they taste like! I would love to win these, they look delicious! Being a Coeliac. I love them sooooooooooooooooo much because they are a great gluten free treat. I have recently discovered these and love them. Plus it is my birthday soon so it would be a nice treat! I would love to win these! They're so yummy and colourful! I would love to win, my diet wouldn't want me to! Would love to try them. They look scrummy!!! Would love to win these as looking at them is making my mouth water! id love to eat these after my wedding! These would be amazing to win, I haven't had one in so long, I would love them so much! Fingers crossed! oh wow! i love these treats!! i would sit and watch tv and munch on them on a saturday night!! I would love to win them so much! Macarons are delicious! I love them so much it hurts! Would so love to try! I reeeeeeeeeeeeeeeally want to win these! Yummy! I would love to win these, although they wouldn't last long!! really really really want to try them! Would love to win these for my teenage daughter to remind her of a personal shopper birthday treat a couple of years ago. I have never even attempted to make these but they are so good I know I should... but I do know I could never make them like these on offer as a prize, so I would dearly love to win them to sample the BEST so that I had a benchmark to aim for! They look absolutely positively scummy, love to win em... gimme! I'd really love to as I've never tried them! I'd love to win to give to my husband because I tried baking him some and they got stuck to the baking parchment and I couldn't rescue them and he still hasn't forgiven me so think these might make up for that disaster. They look delightful, I have never bought as they are so expensive but I've longed to try them. My absolute favourite sweet treat! I even tried making them to less than great success! They always put a smile on my face! I'd love to win as they have these locally but they're £2 each and I can't afford it! Oh yes please,I would love them sooooooooooo much! I really would love to win and to share with a very lovely friend who adores these! Oh they look sooooo nice. Would love to win them! I'd love them, they look yummy! They look very scrummy indeed - would be very happy indeed to carry out a taste test!! ooh la la what a treat! Delicious - I love macarons! My friend will be 100 years old later this month so would love to share them with her.